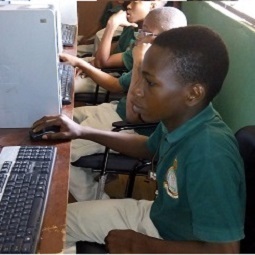 At O'nebs Foundation Academy, we admit students into Junior and senior secondary classes one to class five. In the first year of the secondary school, the scope of the curriculum widens to include a broader subject base. The first two years of secondary serve to introduce the pupils to more advanced study skills in preparation for the Checkpoint Examination which takes place in Year three. The Checkpoint Examination, taken in the core subjects of English, Mathematics and Science, serves to give a better understanding of the pupils' strengths and weaknesses in preparation for the senior secondary education.